Valley Fellowship Christian Academy is a Christ-centered, college preparatory school serving over 340 students across Huntsville, AL across three academic divisions—Upper School (7th-12th), Lower School (K5-6th), and Little Valley Academy (Newborn – K4). Since our beginning in 1987, VFCA has continued to grow in academics, missions outreach, leadership development, athletics and the arts. 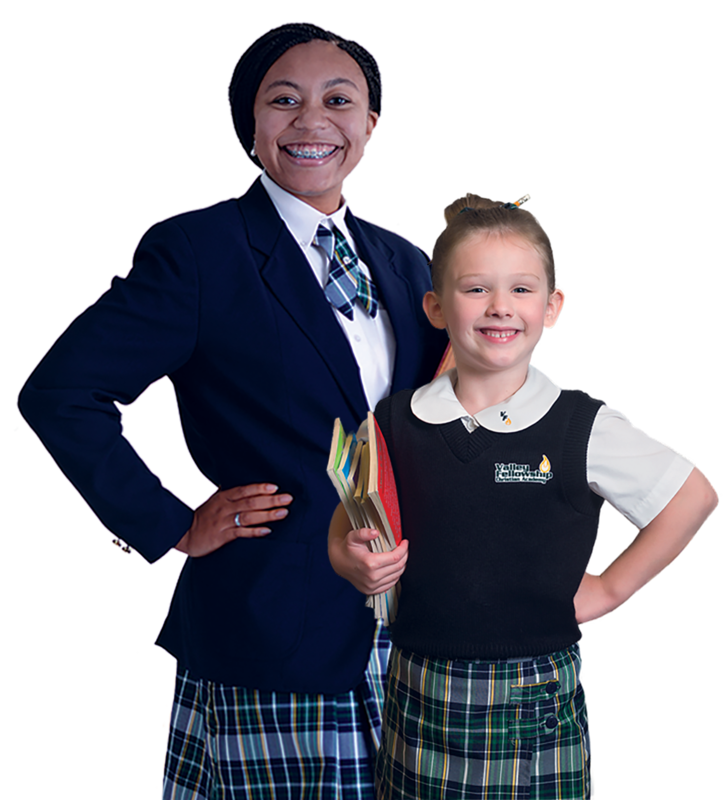 Our program is integrated with the Biblical standard of educating the whole student in mind, body and spirit. Our mission is to raise up Godly men and women to take their place of authority in the world and in the body of Christ. In short, we partner with families to Raise Godly Leaders. Our vision is to see all children whose families desire a high-quality Christian education be able to receive one. Valley Fellowship Christian Academy has been the soil that God has blessed us with in which to plant our seeds, our babies. Since 2008, not only has this experience been a journey for our kids, but for us as parents as well. Valley Fellowship Christian Academy (VFCA) is a response to obey God’s call to make disciples by building a spirit-filled Christian school where students become like Christ and lead others to know Him. VFCA strives to train our kids to become leaders who are spiritually alive, academically strong, and physically fit. 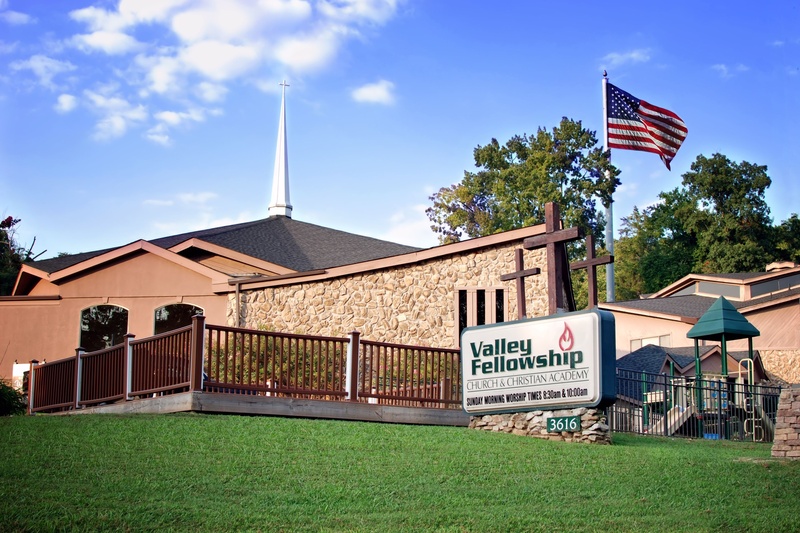 VFCA is a ministry of Valley Fellowship Church (VFC). Jerry and Carol Simon came to pastor VFC in January of 1984 and they brought with them a vision and passion for Christian education. In the beginning, VFC owned no buildings or property. By 1985, they secured property on Holmes Avenue with one older sanctuary-style building. A second building for offices and fellowship was constructed in the summer of 1987. Classes began in August, 1987 with classrooms set up in the basement of the church building. Later, portable buildings were added and used for classrooms unitl 2006 when a new nine-classroom facility was completed adjacent to the two existing buildings. In June of 1988, Pastor Greg and Patti Simon joined the VFC pastoral team and the VFCA staff. With a strong conviction for Christian education, Patti Simon has served in many roles in the school from teaching to leadership. Since 2003, Mrs. Simon has served as Head of School and has a vision to grow the impact of VFCA here in Huntsville and around the world. Most recently, VFCA celebrated 30 years of Christian education and the opening of a brand new school building for the Upper School. 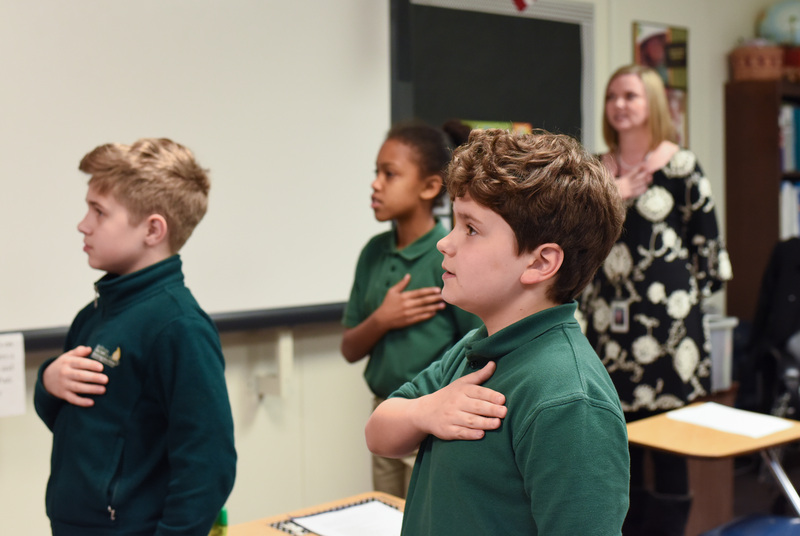 Since 1987, the educators of VFCA have met to begin each day with 30 minutes of prayer and worship. This foundational practice has resulted in the favor of God over our school and will continue to do so. The mission of VFCA is to “train students to become Christian leaders, Godly men and women, to take places of authority in the world and in Christ’s body of believers.” Education, at VFCA, is infused with the newness of the Holy Spirit and emphasizes academic excellence. VFCA exists to be an extension of the Christian home and to help parents fulfill their responsibility to educate their children. Our head of school, Patti Simon, M.Ed., and our wonderful faculty and staff invite you to tour our website, then join us in person for a visit to our campus. Once here, we pray that you will remember us for our greatest achievement—growing godly leaders who strive to take their place in their homes, their communities and around the world as men and women dedicated to sharing Jesus with all they know in word and deed. Valley Fellowship Christian Academy is located on two campuses, both are located on Holmes Avenue. The main campus is located at 3616 Holmes. There are three buildings that comprise approximately 30,000 square feet containing a cafeteria, sanctuary/auditorium, offices and classrooms for infants to 4th grade students. The new building was completed in 2017. It is located at 3205 Holmes Avenue on a beautiful 16 acre plot in the geographical center of the city. The new student center contains approximately 30,000 square feet comprised of classrooms for 5th-12th grade students, offices, and a gymnasium. The property also contains vast sports fields and a high school standard soccer field. The first floor of the building has eight classrooms. Upon completion, the second floor will hold an additional eight classrooms including a science lab and resource room. Each classroom is equipped with educational support technology and communication tools. The building has a modern security system, layered mag locked entry, numerous security cameras and state of the art emergency shelter qualified to withstand an F5 tornado. The building’s student capacity, upon full completion, is 425 students. The gymnasium has a capacity of over 1500 for the purpose of auditorium usage.